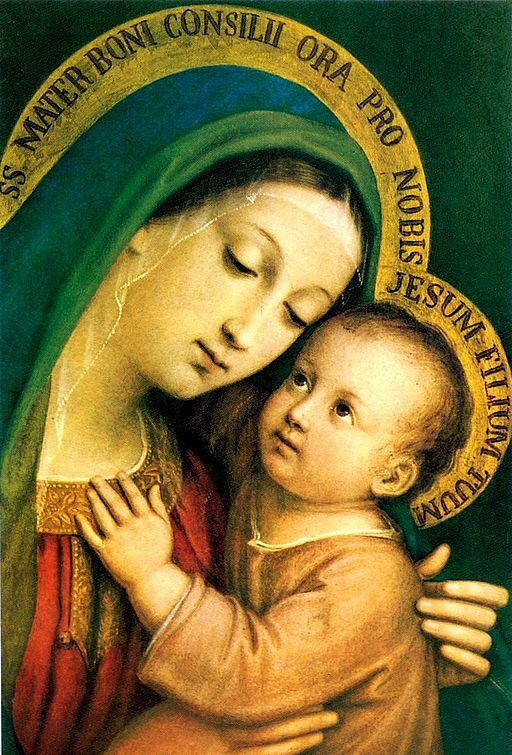 Now it is our daily task to love Jesus more and more…and unerring experience has told us that we never advance more rapidly in the love of the Son than when we travel by the Mother, and that what we have built most solidly in Jesus has been built with Mary. There is no time lost in seeking Him, if we go at once to Mary; for He is always there, always at home. The darkness in His mysteries become light when we hold it to her light, which is His light as well. She is the short road to Him. She has the “grand entry” to Him. She is His Esther, and speedy and full are the answers to the petitions which her hands present” (From: Chapter One of “The Foot of the Cross” by F.W. Faber, slightly adapted, emphasis added). “On their difficult path through history, between the “already” of salvation received and the “not yet” of its fulfillment, the community of believers knows they can count on the help of the ‘Mother of Hope’. After experiencing Christ’s victory over the powers of death, she communicates to them an ever new capacity to await God’s future and to abandon themselves to the Lord’s promises” (Saint Pope John Paul II).